The Computer Geek Squad is a professional IT company specialized in virus removal. 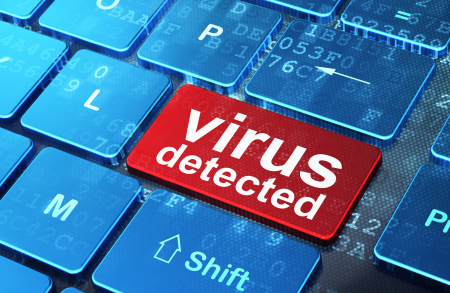 We will remove and clean all kind of Viruses, Trojans and Spyware. A computer virus is code written by criminal computer hacker that is used for malicious purposes. These computer viruses can be transferred from one computer to another. Malware, computer viruses, spyware and trojans can be very harmful and can be used to steal your credit card or online banking information. It really does not matter what anti-virus software you are using, your computer(s) can still become infected. We remove viruses, malware and spyware from your computer and / or network. Unfortunately, the hackers are now misleading people into believing that their malware is a real virus removal tool. In some cases you might see a pop up explaining that your system has a virus and to click here to remove. Well, that actually was the virus. Other times you may have a pop up and when you push close you get a virus. In a lot of cases your anti-virus does not catch these because you have actively click the link. We can find this code and remove it. As soon as you believe you have a virus call The Computer Geek. A virus can keep reproducing and spread to many more places on your computer or network. In most cases we will scan your files, reset and clear cache files and repair and replace damaged files. We can also migrate your data to another device and re-install your operating system giving you a totally clean computer. If you don't have an anti-virus software we can also provide you with a recommended package. Our services include remote scanning, On-site service and drop off repair. I've got a computer virus! Where did I get it from? There are a number of ways to have your computer infected by a virus, spyware or malware. Here are a few ways to get infected. Clicking a malicious link on a website. Hackers can hide viruses in Email attachments. Navigating to a site that the hackers control. Downloading files from Torrents and other file sharing services. Click here for more information about hackers. A lot of the time no it is not real it is actually a virus or malware. If I use any search engine such as Google I'll be redirected to suspicious websites! Do I have a problem with my computer? In this case you probably have malware installed in your browsers. There are programs that will encrypt your personal information or you can simply make sure that your sensitive documents are password protected with a secure password. computer virus experts | Computer Geek 5 out of 5 based on 103 user ratings. The computer geeks are a professional IT company specialized in virus removal. We will remove and clean all kind of Viruses, Trojans and Spyware from your home or office PC computers.